Continued Professional Development (CPD) Editing and Post Production modules are aimed at film makers and industry professionals who are looking to improve their skills and learn new software to develop their professional practice. The modules are designed around applicants with full time work, with classes taking place on evenings and weekends. The CPD modules will enable you to develop advanced knowledge, understanding and skills within the module subject area.You'll be prepared for future career development and advance film editing techniques. The teaching is delivered by industry professionals and it emphasises the roles of all personnel in the Editing Department in the context of digital film production. Subjects covered include: transcoding rushes, recording formats, colour grading, audio post production and delivery platforms. 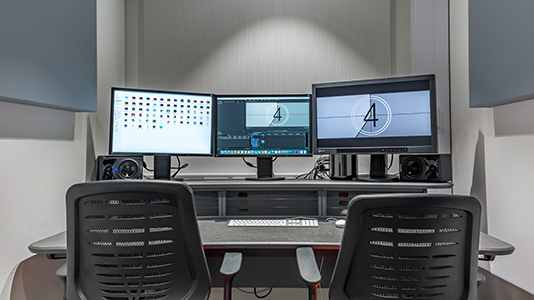 These tailored modules offer deep exposure to the skills, knowledge and creativity required to get a secure foothold in the competitive world of Editing and Post Production (EPP). Each module outline below will give you an idea of the content and any prior experience and/or qualifications required in order to take the module. This module will introduce you to the historical, cultural, political and artistic developments of editing film and digital video. You will explore editing techniques through both theory and practice based experimentation, as well as a range of editing concepts including options of montage, dialectical approaches to film form, duration, continuity and post-continuity and what Walter Murch calls ‘the rule-of-six’. Candidates will have to have completed their 101 and 110 Avid Media Composer training. 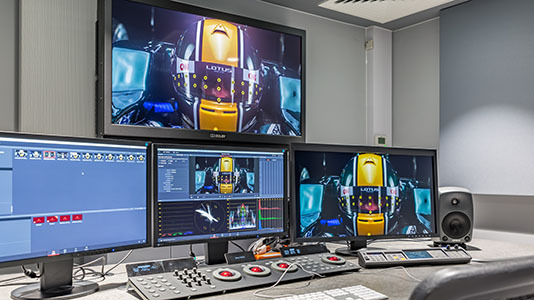 This technical module is designed to give you an experience of working in industry standards and according to established workflows in professional colour grading suits, using footage shot on high end digital cinema cameras. The role of the colourist in film and television is a creative role, and you will be called upon to exercise independent and creative decision-making. You will undertake the necessary research to make informed choices according to the demands of different professional, aesthetic and technological contexts. Suitable for beginners looking to learn Davinci Resolve. 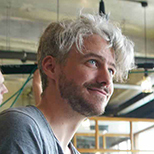 You will develop an understanding of the concepts and technical processes involved in VFX. This module will introduce you to 2D compositing software, and while working with this software, you will be exploring keying, masking and tracking. 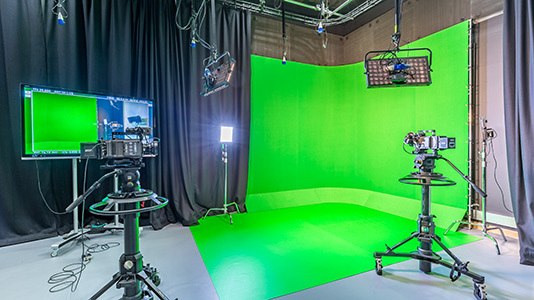 You will be introduced to the exciting and growing world of the VFX industry in London and the key contacts that will help you progress after PG study. There are two aspects of this module: you will be introduced to editing using Avid’s Media Composer software, you will then also be given a detailed overview of the post production industry. You will receive first-hand experience of the post-production pipeline, you will be provided with pre-existing footage in order to familiarise yourself with the basics of editing visuals and mixing sound and eventually exporting. You will also be familiarised with the post production sector. You will learn how the industry operates, its future trajectory and knowledge of the key plays in order to create a successful on-going career. A background in film editing is essential, with at least four years of experience either freelance or with a company. To show interest in one of our courses, please email course director Ben Mallaby with your CV and portfolio. Should you meet our requirements, you will be invited in for an interview with the course team. The cost of each module is £1000, which includes 12 teaching sessions over 12 weeks. Please note, you will only have access to our technical equipment and spaces during sessions and at no time outside of this.